Born Ehrich Weiss in Budapest, Harry Houdini was a rabbi's son who became a world-famous performer through his gripping theatrical presentations and his talent for provocative promotion. 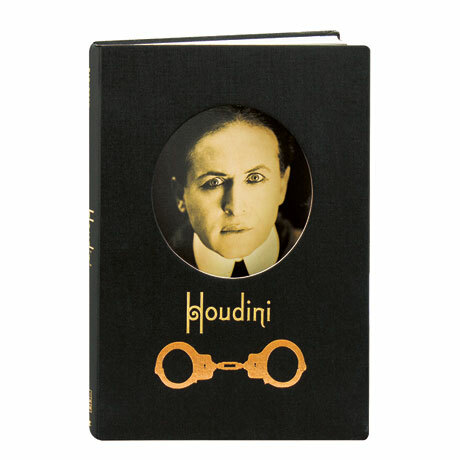 This exhibit catalogue—a finalist for the 2011 National Jewish Book Award in the Visual Arts category—discusses Houdini's evolution and his wide-ranging influence from the late 19th century to the present, illustrated with 157 color and 45 black and white photos and reproductions of art and ephemera. Essays on the artist's life and work are accompanied by interviews with novelist E.L. Doctorow, magician Teller (the "silent" half of Penn and Teller), and contemporary artists like Raymond Pettibon.